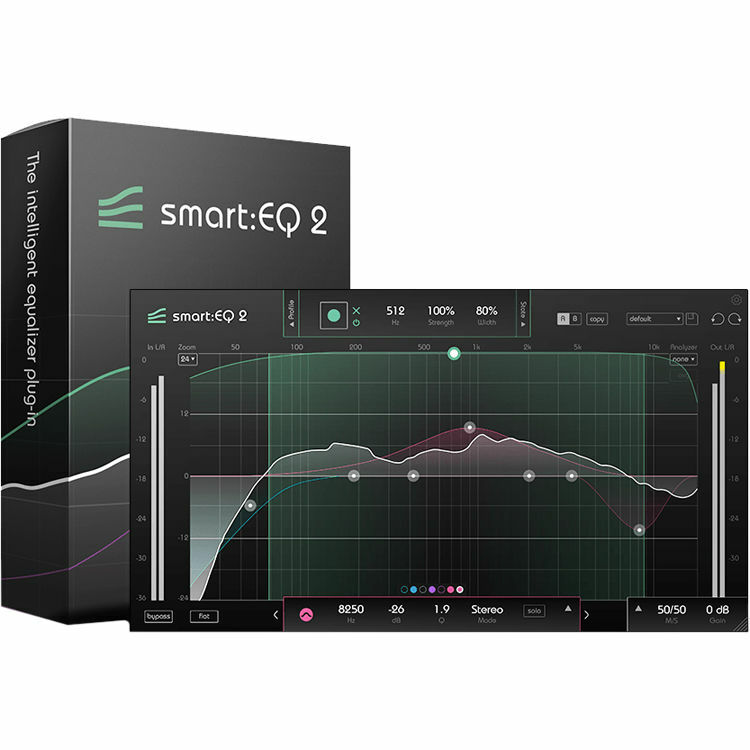 Sonible smart:EQ 2 is an intelligent equalizer plug-in with a built-in A.I. engine designed to speed up instrument and vocal EQing tasks in music, film, and TV post-production applications. The software analyzes your individual tracks in seconds and balances out frequencies to remove resonances and produce a natural and transparent sound, which seamlessly blends into your mix or cuts through the audio spectrum. Powered by proprietary smart:engine technology, the smart:EQ 2 automatically evaluates your audio material and generates a custom filter curve. The intuitive control interface allows you to easily adjust the curve to suit your needs and personal mixing style. The software includes content-aware profiles, which you can use to further tweak your sound, add clarity to your mixes or more punch to single tracks, or carve out the harsh parts of your vocal recordings. You can edit, create, and save your own custom-made profiles, and share them with friends and collaborators. Additional M/S processing options allow you to optimize the sonic space of your tracks. Other features include a pre and post analyzer, and a tilt filter option.